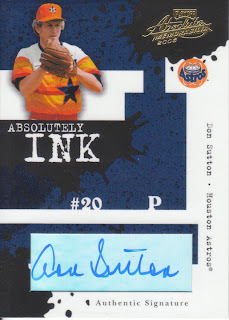 I can't say I even remember Don Sutton being an Astro as I was 2 years old the last time he pitched a game for us, and in fact was only in the rainbow uniform for a couple of years. But while he was an Astros he amassed 24 wins over one and a half seasons. I am curious now as to why we traded him. 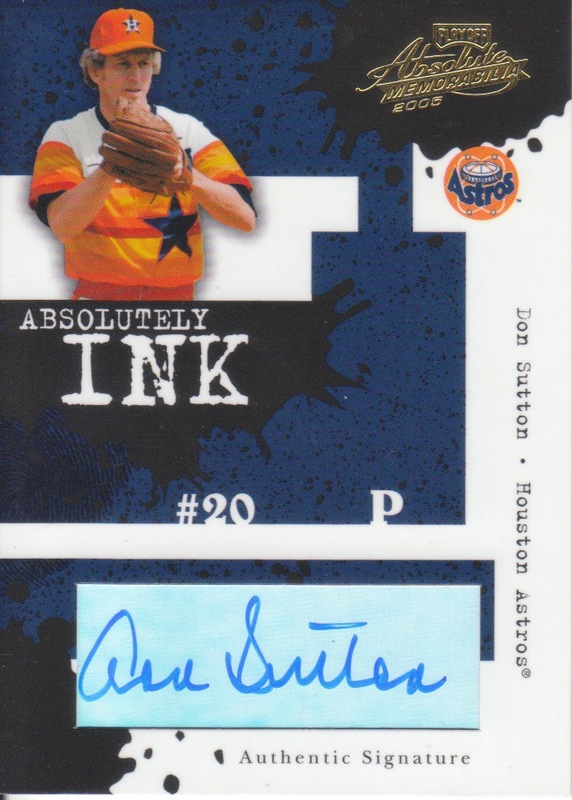 I picked this one up because A) I didn't have a Sutton auto in my collection and B) because it just looks so dang cool with the retro Astros look. I like that Playoff, even if they were using stickers, still did a cut-out for it and didn't just slap it on the cardboard like Topps does these days.